Having seen the Eiffel Tower on my trip to Paris just a few weeks ago this article caught my eye. I think it's a cool idea, it would definitely give it an organic look...I don't think there would be anything in the world that would look like this. 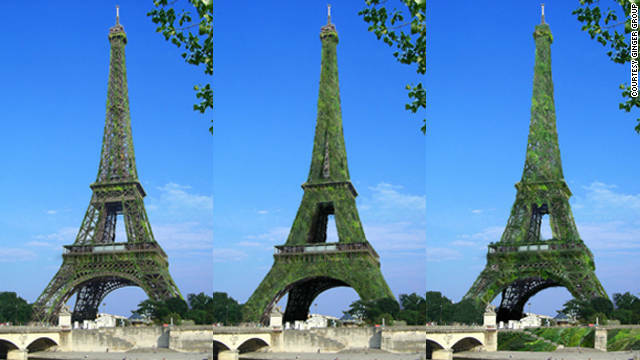 An engineering firm has unveiled plans to turn the Eiffel Tower into a vast, tree-like monument by cladding its mesh iron body in over 600,000 plants.